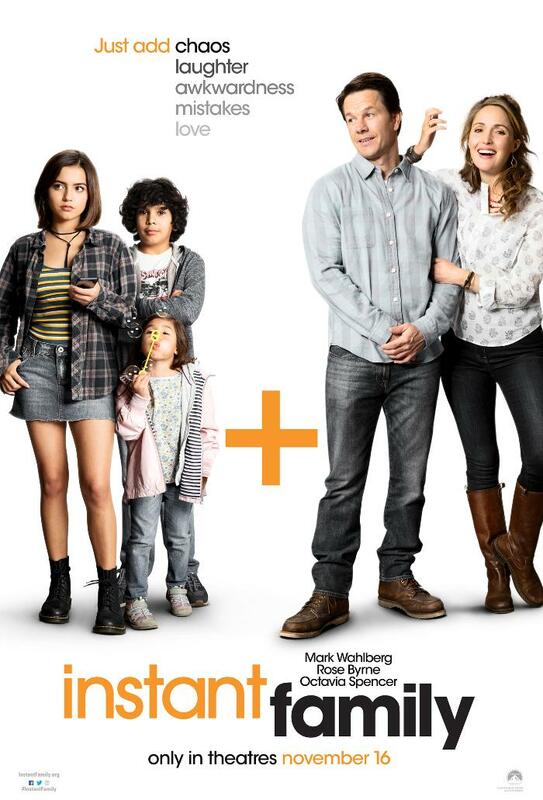 Instant Family – in Theaters November 16th! Friday, November 16, Paramount Pictures will release Instant Family, starring Mark Wahlberg and Rose Byrne (cast also includes Tom Segura, Tig Notaro, Octavia Spencer, Joan Cusack…and more!!!). The movie is based on the real-life experiences of director Sean Anders and his wife, who adopted three children out of foster care. This film is a comedy which brings a lighthearted, Hollywood perspective to our child welfare system. At the end of the film, viewers will be directed to a website with a series of resources for people looking to help children in foster care. We are so excited National Court Appointed Special Advocate (CASA) Association will be among the few organizations highlighted on the site, along with the Dave Thomas Foundation for Adoption and AdoptUSKids! Click the photo below for more information!